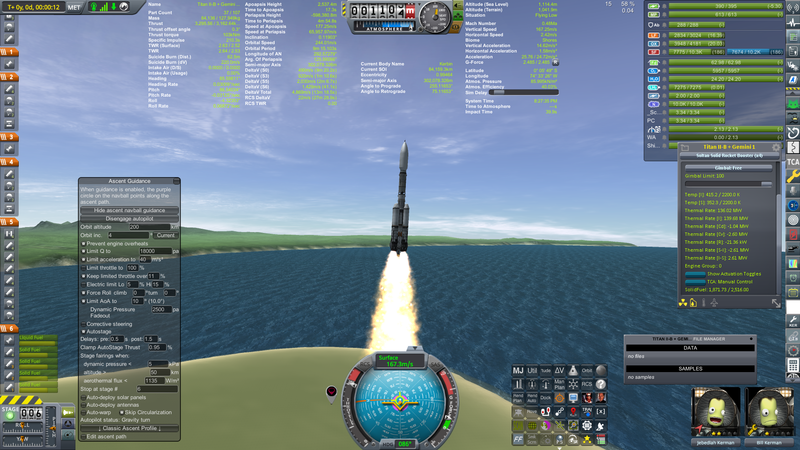 @CobaltWolf @linuxgurugamer I just replaced all instances of category = Propulsion by category = Engine in all .cfg inside the BDB folders. Been busy the last 48 hours or so, planning and then executing a dash down to DC for an afternoon. I took a lot of blurry pictures. 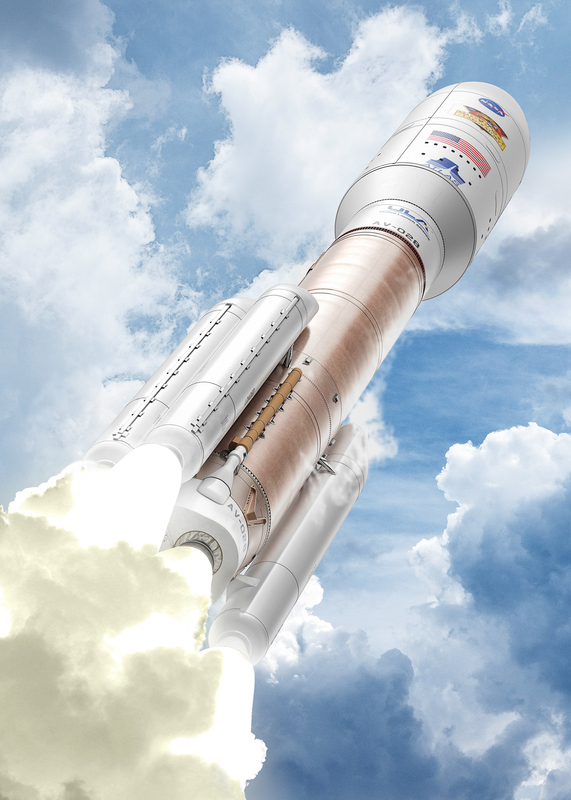 @CobaltWolf With the Atlas V revamp, are you planning to also add foam-covered Centaur? Yes, my intent is to revamp the textures used on the two extended length Centaur tanks to bring them in line with BDB's art style, and make them available in both white and orange. Ah, you've made The Pilgrimage. 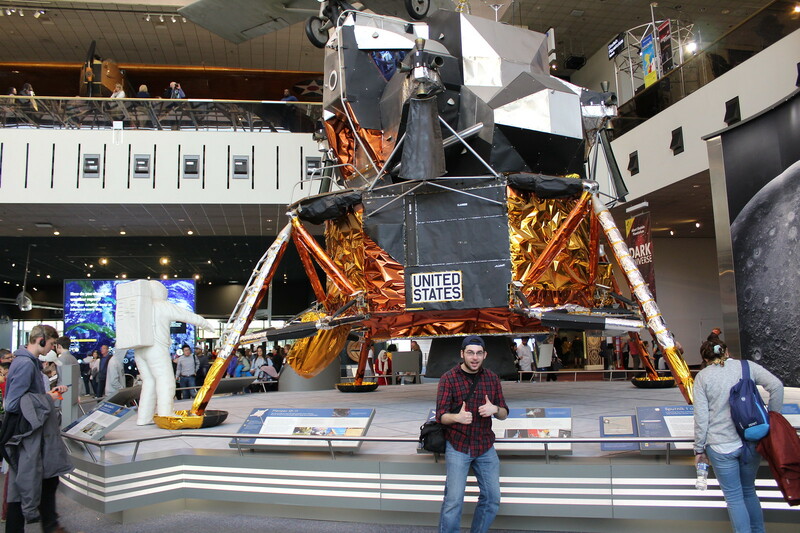 Did you happen to make it out to the Udvar-Hazy annex? Naw, not enough time. We had one day to do it and that included a minimum of 8 hours travel time. Going to U-H would have added at least 3 more. Not to mention the window we'd have to do it in - they aren't open 24/7! Fair points, those. Next time, then. It's absolutely worth the trip. I've seen it once but that was before they added all the new space installations. I am seeing how doable a second trip this summer would be just to go there. Niiiiice. I have uses for that much power. Thanks guys! I was a bit worried when I sat down to work on it, since I wasn't sure what I wanted from it. I could kind of picture it, 'out of my peripheral vision', but couldn't see the direction clearly enough to know exactly what I had to do to achieve the look I wanted. I'm not 100% happy with it yet but it's pretty much there. 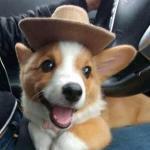 Whoot! Asymmetric thrust here we come! 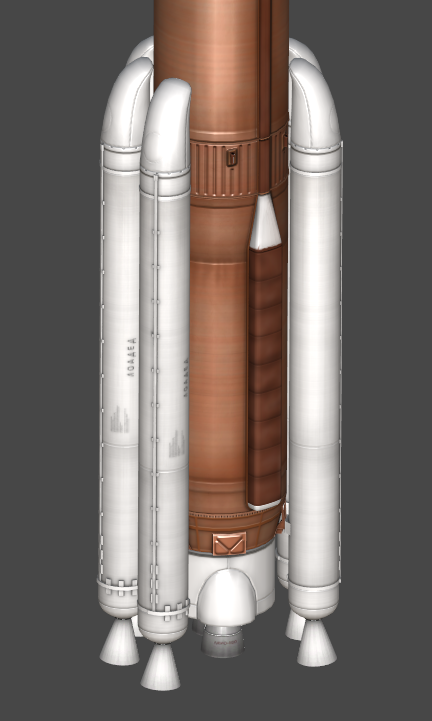 Just for style we need to do the 1 srb version, because its just very kerbal to see it....I feel like that rocket is very kerbal. 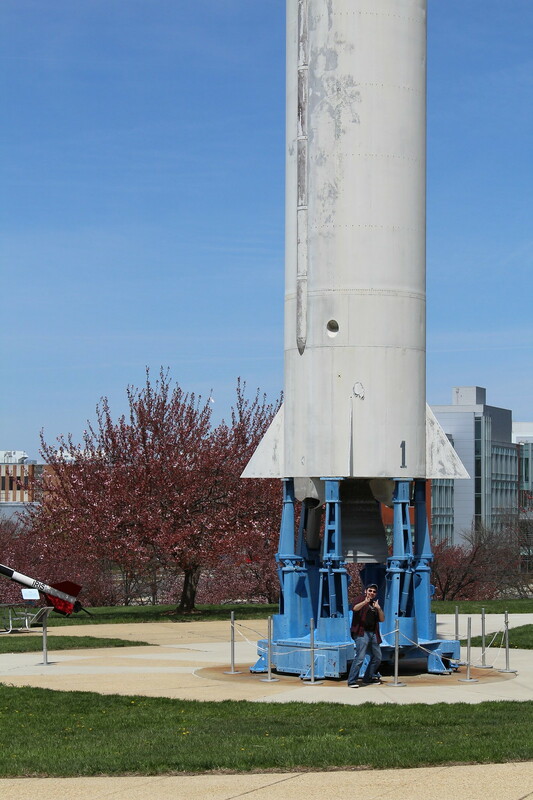 Like someone's engine, some fuel, hey we need moar power add some srbs lol. Yup! 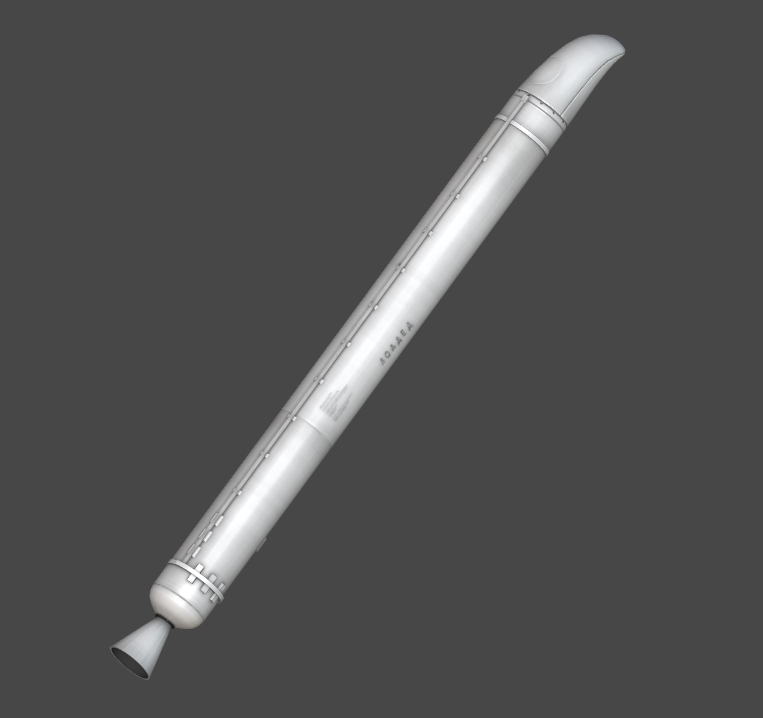 Actually, this is a good time to get some public feedback on my plan for how players will attach the SRBs. We had some internal discussions on the use of nodes, and I personally dislike the idea. 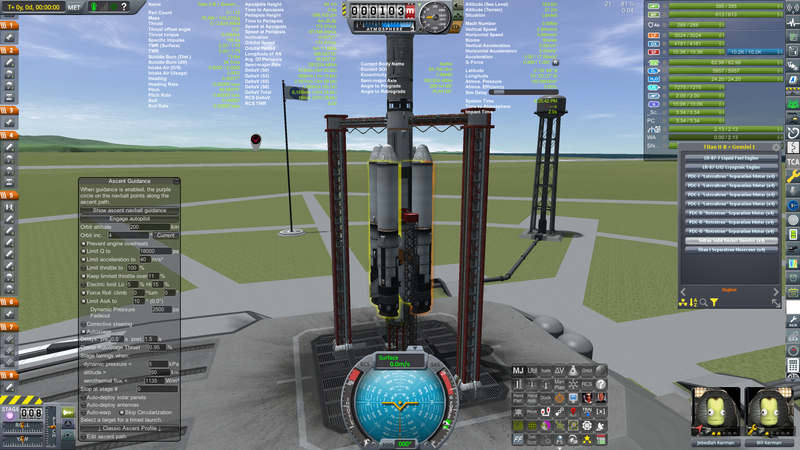 Now, KSP surface attach, with snapping, work in increments of 15 degrees. If the player holds shift, it goes to a finer 5 degrees - this is sufficient for the two-side SRB mounts, which are offset +/- 20 degrees from cardinal (can't remember if that is X or Z - doesn't really matter since I can just rotate the models...). Also, remember that 'R' switches from radial symmetry to mirror symmetry, so you only need to place 3 boosters. The mounting brackets in the model of the Atlas V's version of the RD-180 help show where they attach. Note the 'bottom' booster, where, even with the SRB mount on the core stage, there is that little 'trapezoid' shape that comes out. That is meant to line up with the SRB mount on the RD-180 skirt. The SRB mounts already have a hole cut out in them. I propose just adding a cylindrical peg sticking out of the trapezoid block, and that will allow the user to confirm that the vertical alignment is correct. Sound good to everyone? We're definitely out of stockalike territory here (and I've honestly made my peace with 'having to break a few eggs' if it allows something cool), but I feel this compromise allows the boosters to be used elsewhere without issue (since they do not attach via nodes). I wish I could, but where else would I put the UV seam? 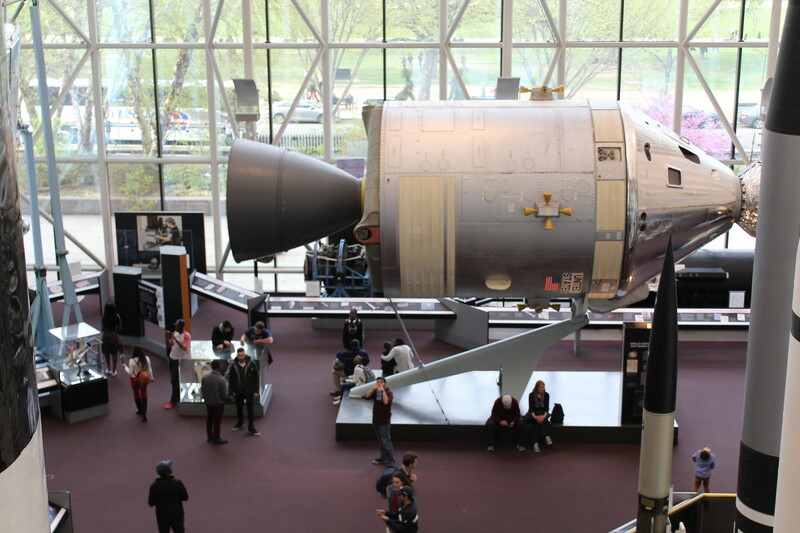 Having seen how they make the nose cones, I second that motion. They're a single piece of carbon fiber. As for the UV seam... How invisible can you make it? If it's pretty faint, I think there will be few comments. Titan IVA/Centaur will do a good job, or Saturn Multibody H03-Centaur E. 3 tons direct to Neidon. I'm having a strange bug where none of the added science experiments (photograph, Geiger counter, ion trap, magnetometer, etc) actually do anything. In the VAB they're listed as having the experiments but in flight none of the parts actually have the option to perform an experiment. My first guess was that there was something wrong with DMagic Science Animate, but I've got it installed correctly. Tested it on 1.4.2 and 1.3.1. DMSA is surprisingly version dependent. I'd double check that you're using the version from BDB. Any chance we can get textures with on-part writing in English instead of Russian? It's not a big deal, but it's a bit odd seeing American craft with Russian writing hahaha.